The Navy Yard is on lockdown Thursday morning, according to the Navy Yard office. Employees are sheltering in place. The Naval Sea Systems Command says it is investigating an “unconfirmed incident.” There is a massive police presence on the scene. 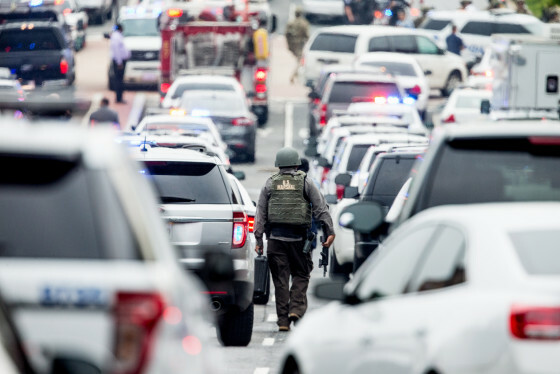 WASHINGTON – Thursday morning’s report of shots fired at the Washington Navy Yard, where two years ago a lone shooter gunned down 12 people, was the first test of training and coordination changes made in the aftermath of the 2013 rampage. 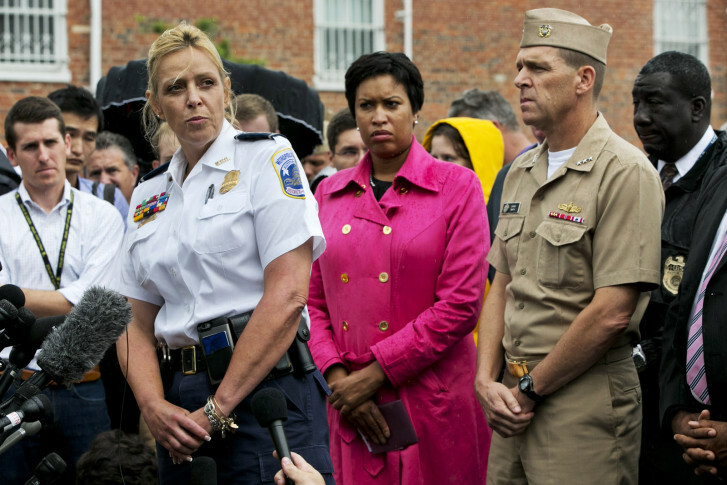 And D.C. Police Chief Cathy Lanier says that a review of Thursday’s potential shooter response will show that the training has paid off. After the September 2013 shooting, Lanier says her agency created what she calls an after-action review to determine what responding agencies could have done differently. The post-shooting review uncovered 77 recommendations that could have improved the response that day. Lanier has said that officers had difficulty getting access cards to get into the surveillance video room, couldn’t shut off the fire alarm which made it hard to hear each other on the radio and other issues. Thursday’s response was different. The response Thursday was heavy and immediate. Officers from multiple agencies arrived with rifles and wearing protective gear. In addition to the Metropolitan Police Department, the U.S. Park Police, Bureau of Alcohol, Tobacco, Firearms and Explosives and numerous other agencies responded to the facility blocking off streets and entering the sprawling, gated complex. The lockdown was lifted about 12:30 p.m. after investigators determined that there were no shots fired and found no one injured. Live Blog: Navy Yard locked down two years after rampage D.C.
Lanier discusses lessons learned from the Navy Yard shootings D.C.